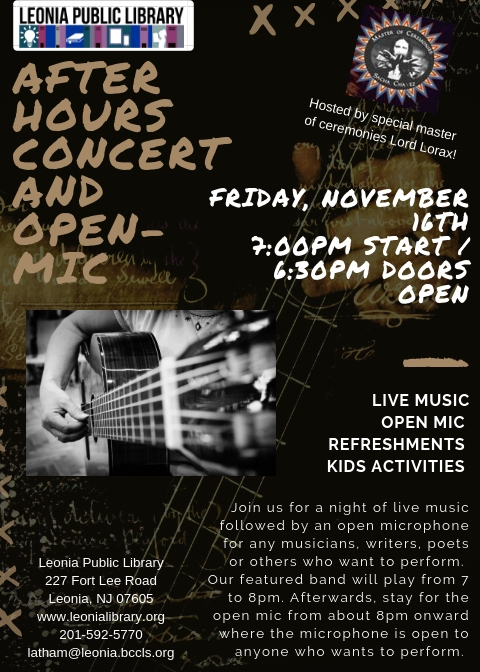 Join the Leonia Public Library for a night of live music followed by an open microphone for any musicians, writers, poets or others who want to perform. The featured band The Ruckerts will play from 7 to 8pm. Afterwards, stay for the open mic from about 8pm onward where the microphone is open to anyone who wants to perform.